Hyundai is all set to launch a brand new entry-level hatchback in India, which has been code-named the AH2. The production version of this car will carry the Santro badge with a suffix, which means that Hyundai will relaunch the Santro badge in India nearly 20 years after the original car made its debut here. 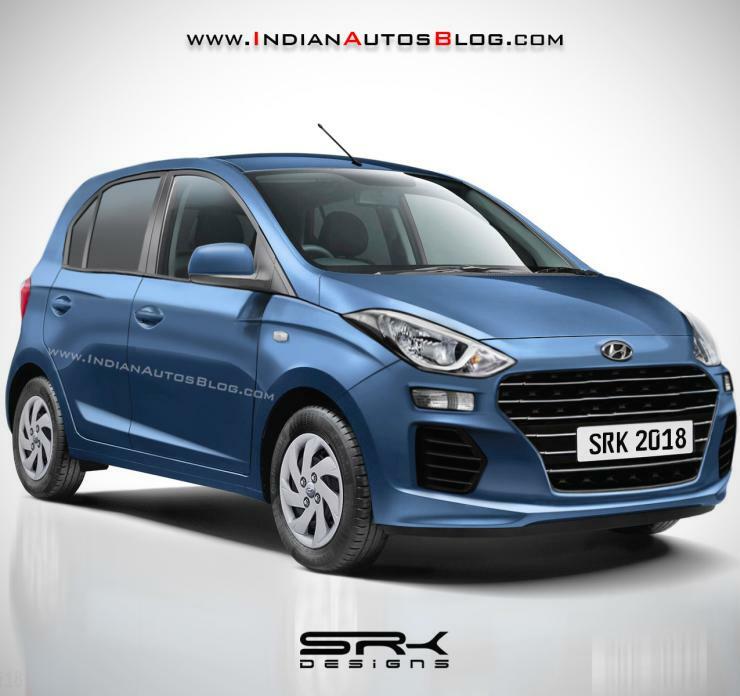 Here is a new render that reveals more details about the car that will replace the Hyundai Eon in the Indian market. The all-new Santro is expected to take on the likes of the Maruti Alto, the Renault and the Tata Tiago. It’ll be a petrol engined car with LPG and CNG dual-fuel options offered for specific markets. As the render indicates, the new Hyundai Santro will retain a tall-boy stance that was made famous in India by the original Santro. The front end will get the cascade grille that’s now a standard styling element on almost all new Hyundai cars. Overall, the Hyundai Santro is expected to larger than the Eon in terms of footprint but smaller than the Grand i10. In terms of pricing as well, the car is expected to initially be sandwiched between the Eon and Grand i10, and in a couple of months after launch, Hyundai is expected to launch cut-price entry level variants that will replace the Eon. There’s no clarity on the engine specifications of the new Santro. While some reports suggest that it’ll be an 800cc, 3 cylinder unit, others hint at a larger 1.1 liter, 4 cylinder petrol adapted from the previous generation Hyundai i10, which featured a 1.1 liter petrol motor. What we know for sure is that the new Santro will be the first Hyundai car in India, and probably the world, to offer an automated manual transmission option. This AMT unit will be called the Smart Auto, and is expected to filter down to more Hyundai cars in the coming years. Hyundai will officially announce the name of the new car in early October followed by a launch soon.